Patients missing the dystrophin protein develop the severe muscle wasting condition Duchenne muscular dystrophy. Researchers from Leiden University Medical Center (LUMC), Delft University of Technology and the Center for neurological learning deficits Kempenhaeghe, The Netherlands, have now shown that dystrophin also plays an important role in the brain: the absence of dystrophin could also be the cause for learning and behavioral problems that are seen in a large proportion of these patients. In this study, results of which are described in the scientific journal Scientific Reports, the activity of dystrophin was assessed in the healthy human brain. Different forms of dystrophin turn out to be present in different areas of the brain. One of these forms was shown to be especially active during fetal brain development whereas a second is mostly active in the adult brain. 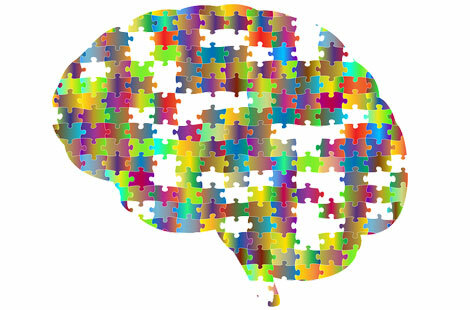 The researchers also uncovered an overlap in the activity pattern between the dystrophin-gene and genes that are involved in, for example, autism and attention deficit hyperactivity disorder (ADHD). These latter conditions are also more frequent in patients with Duchenne muscular dystrophy than in the general population. Doorenweerd: ”Parents of children who have Duchenne muscular dystrophy often notice learning and behavioral difficulties in addition to the muscle wasting.” Researchers therefore argue that more attention is needed on brain involvement in the disease. “We should not forget about the brain when testing or developing new medicine”, said prof. Annemieke Aartsma-Rus, specialist in the field of Duchenne muscular dystrophy. In the future the researchers are planning to study the exact mechanism by which the protein shortage can result in cognitive deficits. To assess the role of dystrophin in the healthy brain, the researchers used the Allen Brain Atlas: an online atlas from the Allen Institute in Seattle that contains a wealth of information about where in the brain genes are active and during which stage of brain development. Ahmed Mahfouz of the Computational Biology Center played a key role in facilitating the translational steps between the Allen Brain Atlas and the LUMC Duchenne research, which led to these new insights. The research paper ‘Timing and localization of human dystrophin expression provide insights into the cognitive phenotype of Duchenne muscular dystrophy’ appeared in the scientific journal Scientific Reports on October 3.